The Internet of things is essentially the heart and soul of all new-age digital businesses. 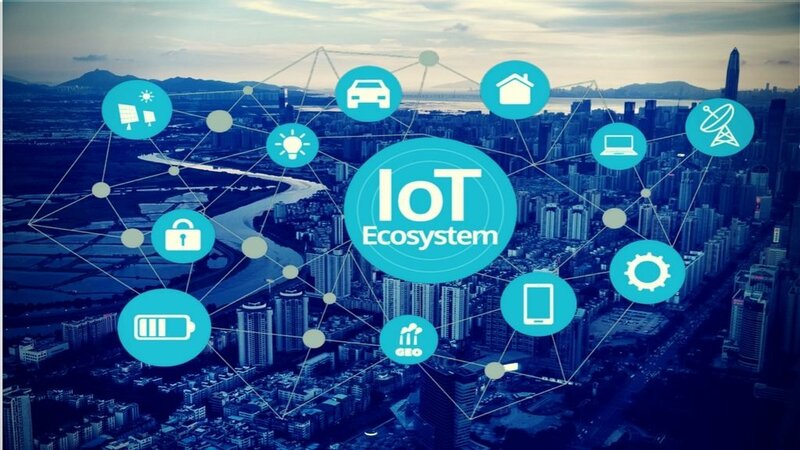 A technology that uses sensors and readers, IoT allows interconnection and data exchange across a wide variety of devices including thermostats, smart home devices, cars, wearables and implants for RFID(radio frequency identification). The international research firm Gartner estimates, there were 3.8 billion smart devices can exchange data with each other by the end of last year. Cisco’s CEO, John Chambers, has disclosed will be 50 billion devices online, with a total market worth $19 trillion by the year 2020. Apart from consumer applications like smart lighting, enterprise IoT use cases like predictive maintenance solutions, fleet management solutions and others are likely to transform businesses like never before. The evolution of 5G technology is a significant booster for IoT mobile applications since it means increased data speeds and reduced latency. With an estimated number of more than 400 IoT platform providers in business today, IoT adoption is likely to get more feasible over the years. What IoT means for enterprises? IoT is spearheading developments in a number of sectors such as smart cities, smart homes, automation, manufacturing, healthcare and more. Businesses and enterprises in almost every industry can benefit from IoT adoption. Key benefits include improvements in productivity and efficiency, enhanced performance, better customer engagement – all of which eventually translates to increased revenue. A Frost & Sullivan Survey estimated that global spending on smart cities is around $1.5 trillion and covers transportation, energy, healthcare, infrastructure, and buildings. Intelligent video analytics can be used to gather and transmit data and transmit to make spot decisions. Intelligent transport solutions can help in reducing traffic, minimizing fuel consumption, scheduling vehicle repair and saving lives.Regulating light levels and power consumption in lighting infrastructure remotely can save energy costs. These simple steps will make a big impact on our environment as well. Smart building solutions are by far the most talked-about enterprise IoT use case. By 2025, Intel research estimates that over 71% of Americans will use at least one smart home device in every home. With sensors, RFID tags and RFID readers embedded in key home appliances, it’s possible to automate practically everything simply using a smartphone. Users door open automatically on arriving home, have lighting and thermostats adjusted to his preferred intensity and temperature and even get alerts from his refrigerator when he runs out of food. Manufacturing and production are highly dependent on the smooth functioning and synchronous operation of different types of machinery. Each piece of equipment comes with its own set of operational variables such as different temperatures and vibration ranges. Machine-embedded IoT sensors can transmit operation information to the other equipment and field machines. This can help predict the equipment failure and reduce industrial hazards. A technology venture and enterprise solution provider, Juego Studios provides end-to-end services for IoT app development. With a team of passionate and enthusiastic developers, we’ve created apps for smart building systems & home automation solutions, connected vehicles and more. Get in touch with us today for a quote.